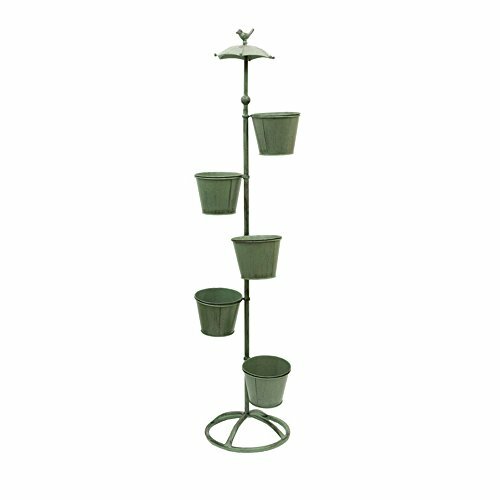 Sam@ Fresh American Garden Balconies Decorative / Retro Iron Decorative Ornament / Outdoor Gardening Plant Rack Organizer ( Size : 28130cm ) by Flower racks at Tulips Orchids. MPN: 19910929. Hurry! Limited time offer. Offer valid only while supplies last. Name: Flower standmaterial: metalSize: 30 * 90cm, 28 * 130cmColor: greenStyle: simple modernApplicable to the scene: suitable for home placesnote:1.